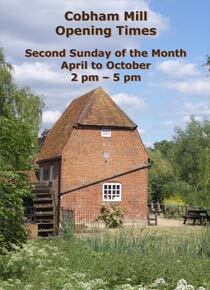 Membership is open to all who have an interest in the conservation and heritage of Cobham and the surrounding area. As a member you will receive our quarterly newsletter, our junior newsletter and information about the work of the Trust and the important issues regarding conservation and planning in the Cobham area. A number of local businesses offer our members special benefits directly or to the Trust. Click here to find out more about the latest offers. We hope you will be able to get involved, as together we can really make a difference to the future of Cobham. Joining the Cobham Conservation and Heritage Trust is easy. Annual membership runs from the 1st January to the 31st December. Single membership is available for £8 and Joint or family membership is £12. Membership subscriptions or donations can be paid by cheque, credit card or by bank standing order.